will be taken if British nationals are affected. correspondent Susanna Mendonca reports on growing row. correspondent Susanna Mendonca reports on the growing row. ever since Donald Trump's travel ban came into force. "We will make representations to the US Government." who was born in Iraq, has been told he would be affected. as a young boy coming from Iraq or Kurdish origin. signatures to be considered for a debate in Parliament. effect of this on the rest of the world? But Ukip's Nigel Farage has defended the US President. what the voters who backed him wanted him to do. America from infiltration by Isis terrorists. Now, you know, there are seven countries on that list. with a president who has some very different views to the UK. It's a case which challenges President Trump's authority. detained at airports across the country. in talent from the seven countries hit by the order. and it is trying to bring back those travelling abroad. Donald Trump, though, is holding firm. "It's the only way to stay safe and free." But the countries included in the Trump order are reeling. And in Iraq, an American ally, there is confusion. It's just like Saddam Hussein's decisions! already causing a furious debate in America and around the world. inquiries are being conducted into the Troubles. were disproportionately focused on the police and the army. against triggering the start of the Brexit process. to support the bill when it reaches the Commons. Two of his front bench have already resigned over the issue. The Resolution Foundation said the UK had experienced a "mini-boom"
from 2014 to the beginning of last year. Our Business Correspondent Joe Lynam reports. a mini-boom in living standards over the past two-and-a-half years. employment levels, but that's set to end, according to a think-tank. There's things the Government can do. year and that could leave many of us a little bit poorer. is choosing its candidate for April's presidential election. The party faces a tough battle from France's right wing. He was up against his old adversary, Rafa Nadal. but as Tim Hague reports, it didn't come without a battle. And this, with 31 majors between them, lived up to expectations. Back and forth, like two prized fighters. Relentless and ruthless in equal measure, and this match was level. In the bullring and taking the set by the horns. It meant we inevitably went to a fifth and final decider. After this, it would be hard to disagree. 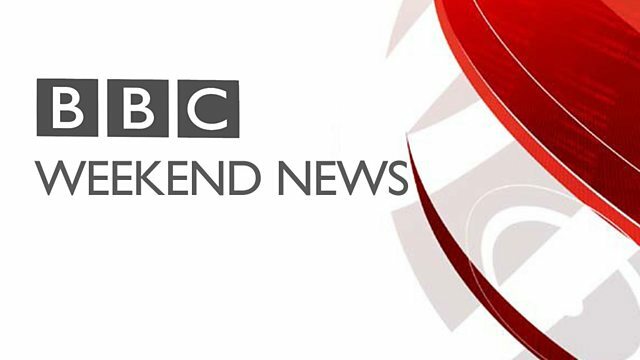 The next news on BBC One is at five minutes past six.